LO level: 0 – 0.8 VDC, HI level: 2.5 – 12 VDC or open collector (NPN), pulse width 50 msec min. 20" (50 cm) Distance = 1300 lx @ 1500 fpm, 930 lx @ 6000 fpm with 10" (250 mm) irradiation diameter. Weve developed a shock absorbing rubber boot that will also help protect against liquid damage. With fully protected front lens assembly and controls, the strobe guard adds value to Shimpos DT-311A, DT-315A, DY-315AEB and DT-314 stroboscopes by extending the service life of these already rugged metal units. Flashtube life is increased due to the reduced incidence of impact related damage, reducing maintenance cost. 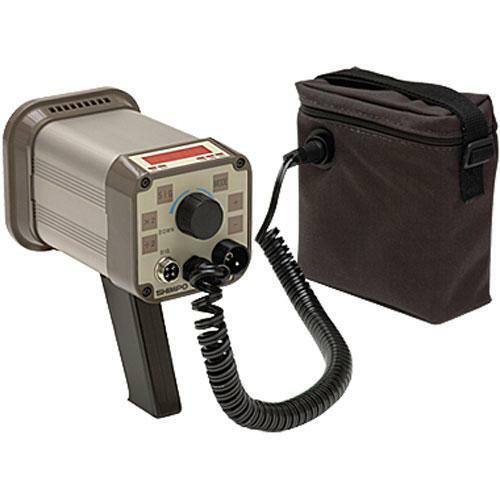 Flashtube for DT-311A and DT-315A model digital stroboscopes. Tube life of approximately 100 million flashes at 1800FPM (flashes per minute). Pack of 1.